What's your favorite magical moment from Harry Potter? We know, it's tough to pick. Is it the Triwizard Cup? The ever-refilling, delicious dishes in the Great Hall? Or perhaps you fancy a go at Quidditch! We've always been railfans (or trainspotters, if you prefer), ourselves, and are thus enchanted by the idea of a ride on the Hogwarts Express! Ah, you too? The magical sites outside the window, the cozy compartments in which to catch up with friends, the anticipation of the year ahead at Hogwarts, and the trolly of treats—yes, the Hogwarts Express is a magical morsel of the Harry Potter world, one that sweeps us off our feet any time we think of it. 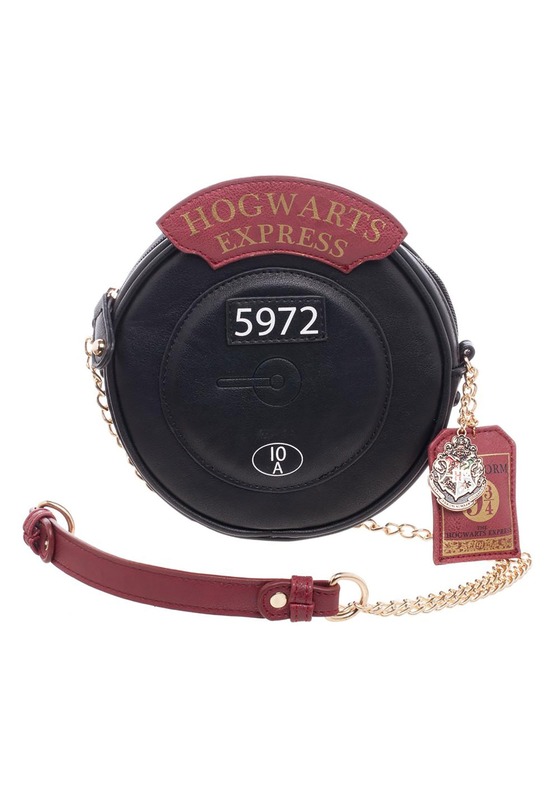 We're guessing you feel the same, which is how you've found your way to this Harry Potter Hogwarts Express Canteen Crossbody Bag! It's officially licensed and can turn a ride on the muggle subway or even a walk in the park into a trip to Hogwarts. 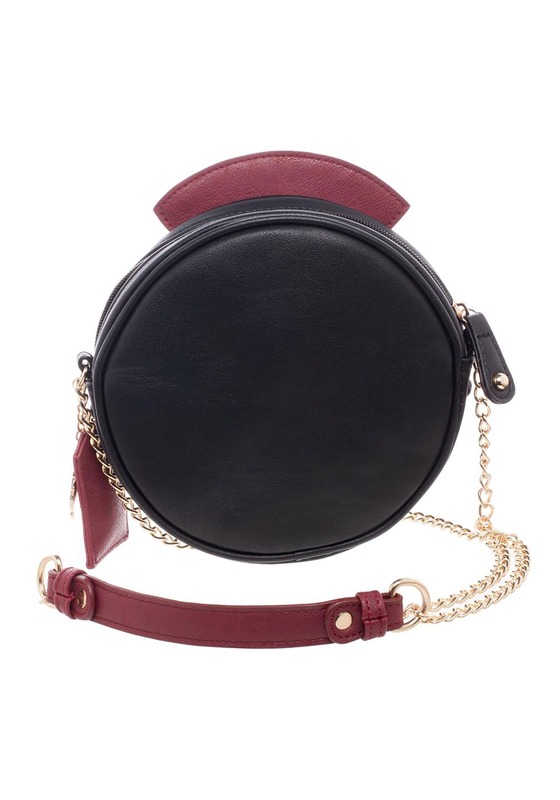 A chain strap, top zipper, round shape, and the Hogwarts Express Crest make this bag worthy of the most magical train ride in the world! Of course, half the fun of the Hogwarts Express is the thrill of making it to the castle. Whether you're a first year preparing to get sorted, or you're ready to take your O.W.L.s and reconnect with your mates, this bag will memorialize the best trips of your life!